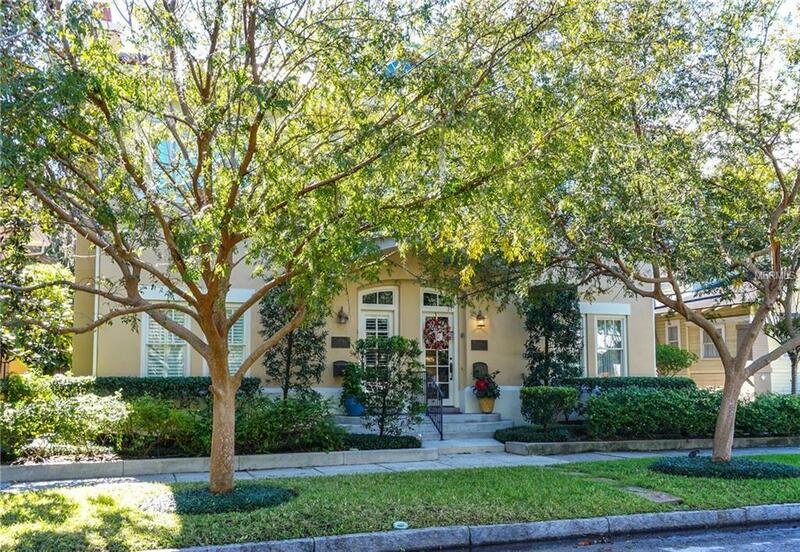 Majestic, move in ready and private Hyde Park townhome with spacious high ceilings and separate guest apartment. The open floor plan is perfect for entertaining with a separate living and dining room and the kitchen overlooking the family room. French doors lead out to the covered porch. Two kitchen islands have granite countertops, 2 dishwashers, commercial grade range with 6 burners and indoor grill and warming lights, plus amazing storage space and a full pantry. The formal areas are separated by columns with a wood burning fireplace (gas starter) in the living room and guest bath downstairs. Throughout the home there are Key West shutters & hand scraped wide dark wood plank floors. All the bedrooms are upstairs with 3 ensuites with walk in closets & an spacious master suite w/a large bathroom featuring a tub, walk in shower, double sinks w/granite counter tops and his & her separate walk in closets w/custom built ins. Convenient upstairs laundry room. Abundant storage through the home in hall closets, attic and garage storage. Relax on the covered back porch with outdoor television, retractable mosquito curtains and Old Chicago reclaimed brick that lead to the 2 car garage & the guest house and fully fenced courtyard. The possibilities are endless as far as what the guest house, that includes a partial kitchen, can accommodate: rental income, media/game room or office. The lush, low maintenance exterior landscape provides privacy and freedom from upkeep.